Great Pillow! This is a large, plump pillow with a really pleasing and soft cover fabric. The stencil of the dog is perfect. Understated and beautiful. The pillow has a red border which gives a subtle pop of color while enabling the pillow to remain neutral in many environments. Thrilled with this purchase and will order a few more to give as gifts to my dog loving friends. 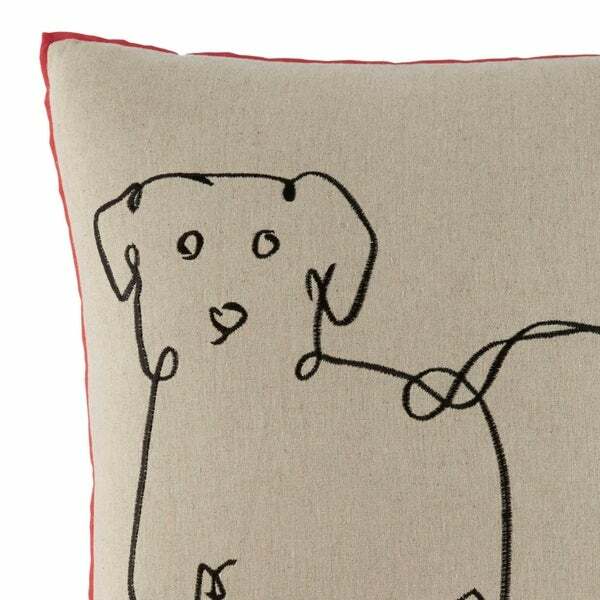 Decorative Toss Throw Dog Lover Cotton Accent Pillow by Danya B.